Since the time I became a mom, bath time for my kids has always been a pleasant and fun experience for them and me as well. I love the scent of the oil I use to massage them before bathing, their shampoo and their baby soap as well. More than just cleansing, I really have seen bath time as a time for bonding, playing and having fun with the kids. A lot of singing, bubble playing, bath time story-telling going on in the bathroom. 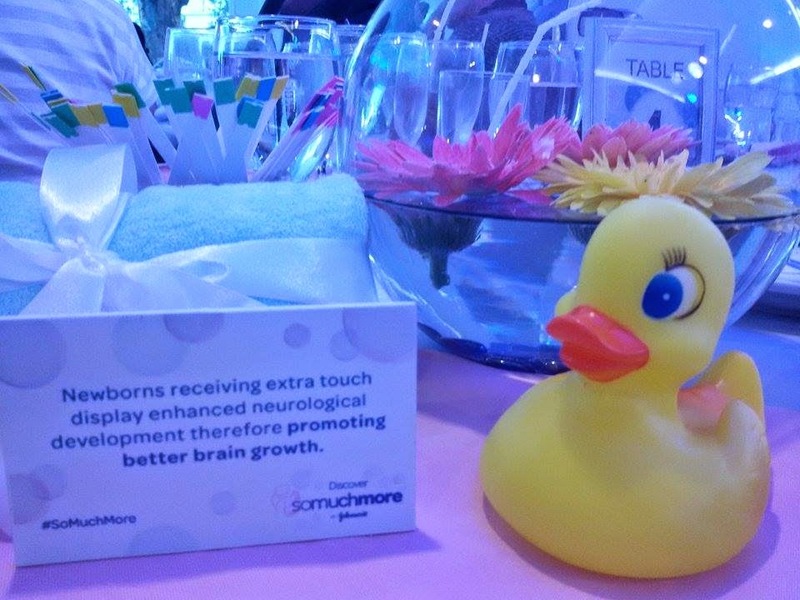 After attending Johnson's Baby So Much More global launch event a few weeks ago, I found out that while treating bath time as a bonding time with kids and cleansing, it's also important for the child's congnitive development. I guess I belong to the whopping 45% of the parents surveyed in the Philippines who didn't see this importance hence, Philippines has the shortest bath time duration for babies - 15 minutes vs. the global average of 23 minutes. Having seen this, we realize that Di Lang Ligo Ang Ligo, it really is So Much More diba mga mommies? 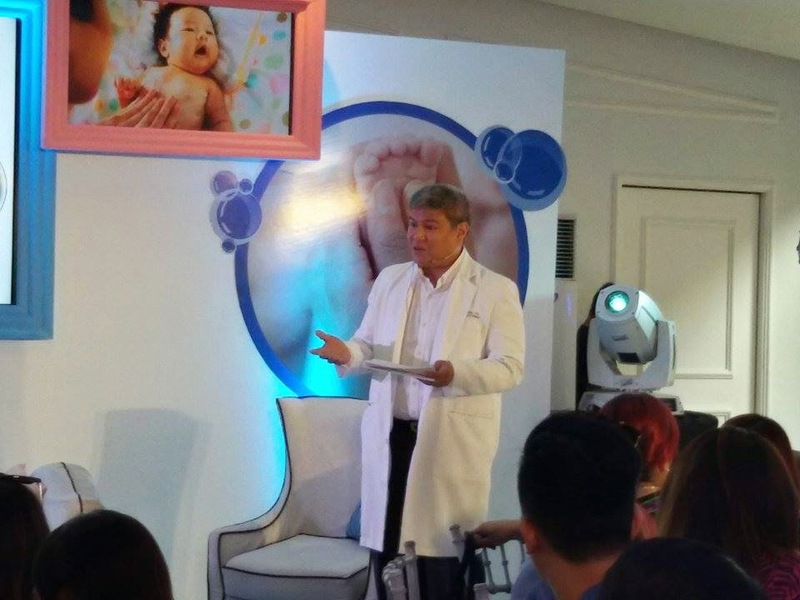 Even Dr. Didoy Castañeda said, "Bath time can be so much more than getting clean. Multisensory stimulation rituals can aid in promoting happy and healthy baby development." 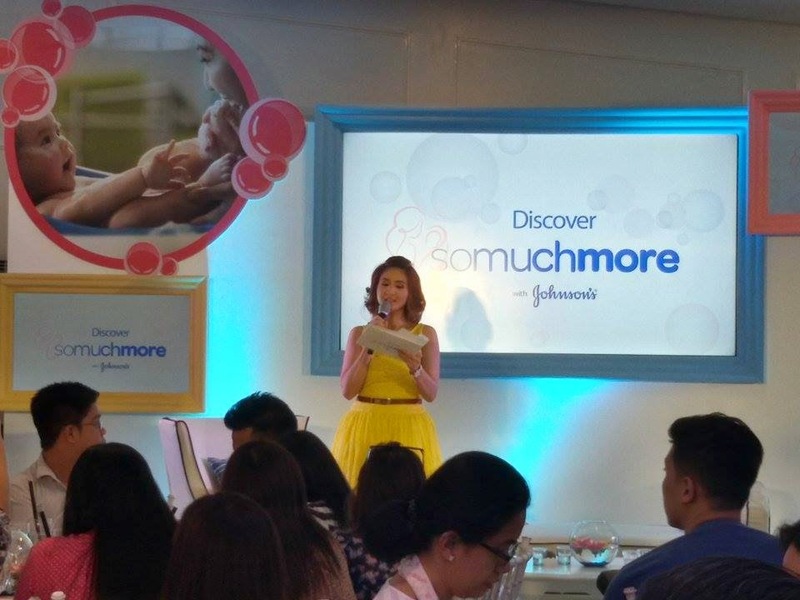 According to Ms. Rica Peralejo-Bonifacio, JOHNSON's celebrity mom influencer, "What I truly enjoy are the baby care rituals I share with him (baby #PhilipBo), especially bath time. I am happy to know how bath time provides opportune moments for me to stimulate his senses - especially touch and smell- to aide in his total developments." 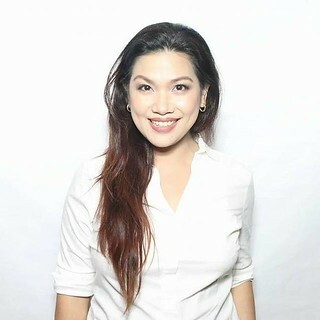 Ms. Rica Peralejo-Bonifacio, Johnson's Baby celebrity influencer. 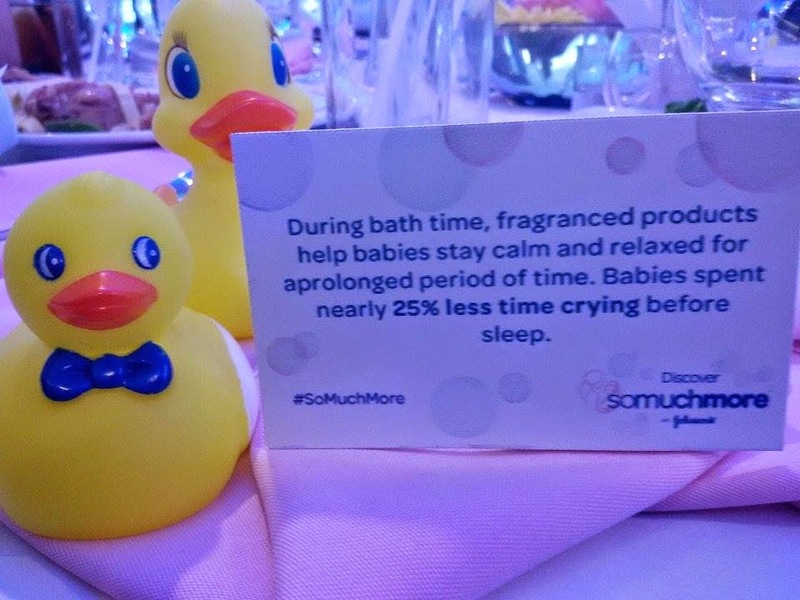 Johnson's & Johnson's So Much More campaign is headed out to increase awareness on what we think are just ordinary-routines, could be beneficial to our children, such as bath time. 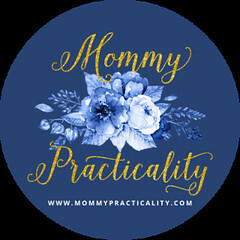 Coupled with the gentleness of their line of products for our babies, they also become a lot more efficient in developing their baby care products because they base it on extensive research such as this. Johnson's & Johnson's invests millions of dollars in its 120 years in existence to do its research on babies' skin development and the effects of our bath and bed time rituals to the happy and healthy baby development. 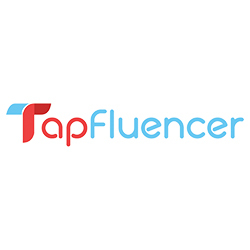 These researches are applied to the development of their baby care products hence, we are assured of quality brand designed to meet our BEST FOR BABY standards, backed by science. 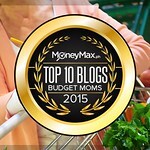 Thus, this makes Johnson's & Johnson's the #1 Brand chosen by parents in six continents. 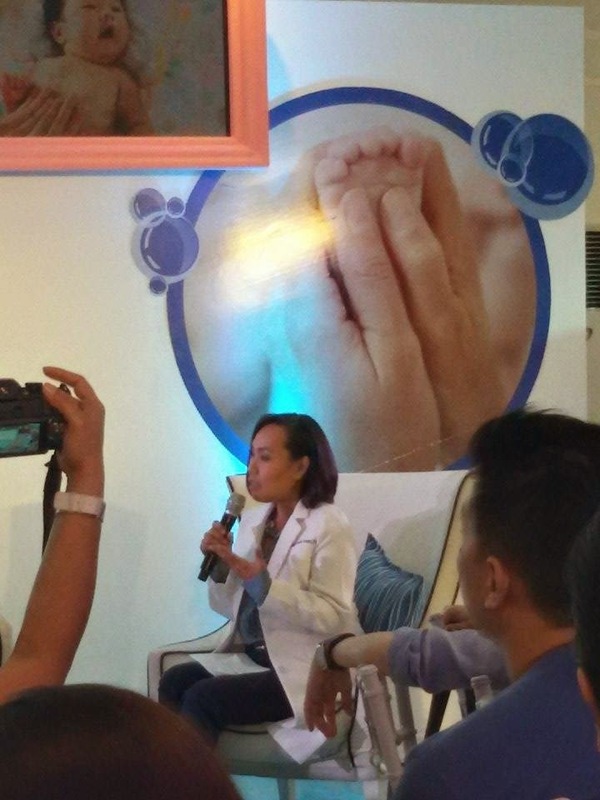 During the event, Dr.Joselyn Eusebio related early experiences of our babies to the changing brain. That stimulus-rich environment produces a wealth of experiences that lead to better cognitive development. Stimulus-rich activities include being physically touched, tasting breast milk, smelling mother's breasts, looking at mom's eyes or other objects, listening to singing voices of parents or rocking the baby. Naku, ang dami naming moments ng mga anak ko with these, without even knowing that these help in their cognitive development, that there is a science behind to how healthy and happy they are now. 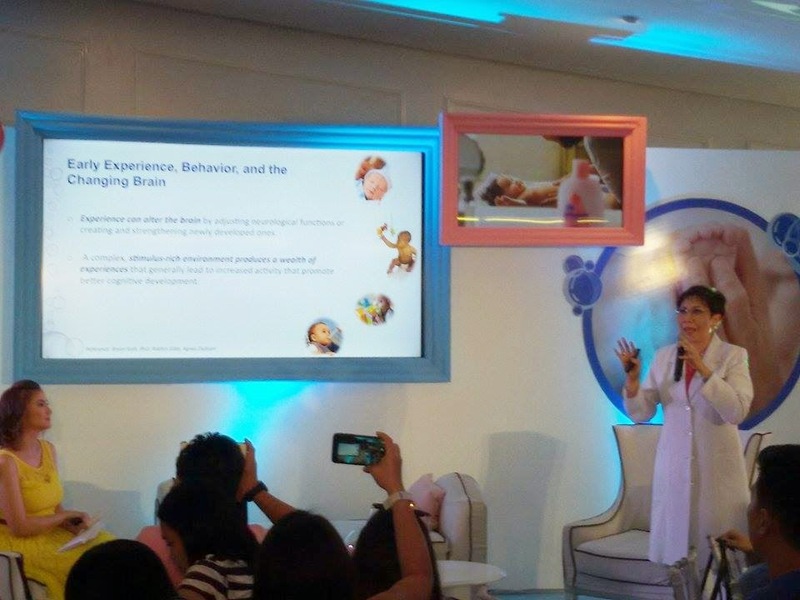 Dr.Joselyn Eusebio talks about early experience, behavior and the changing brain. On the importance of touch, Dr. Theresa Hilario-Jimenez said, "Touch is also a good reinforcer for positive infant behavior and learning." 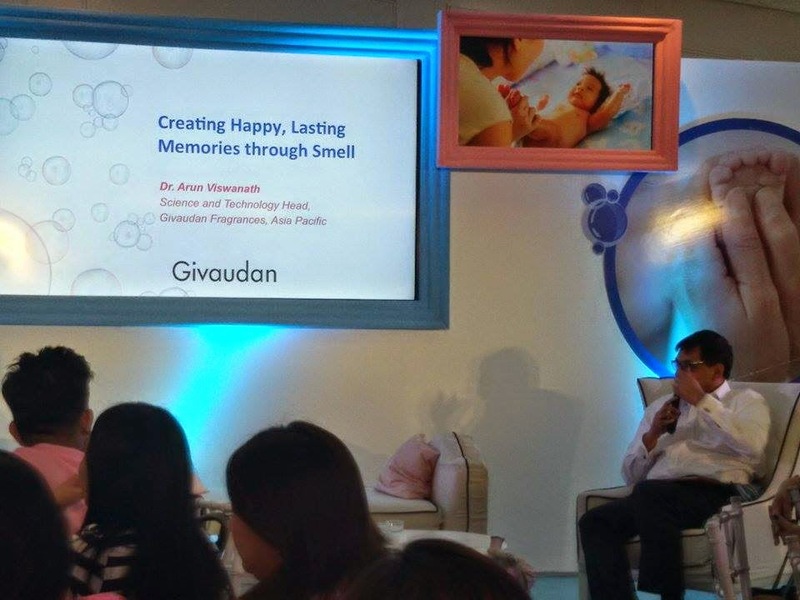 Additionally, Mr. Arun Viswanath, Asia Pacific, Science & Technology head at Givaudan Fragrances said, that pleasant smells paired with the loving interactions of a parent can create lasting memories that children will remember for a lifetime. "Fragranced products are known to increase infant engageent, helping mothers bond with their babies, helping babies stay calm and relaxed for a more prolonged period of time." Mr. Arun Viswanath talks about creating happy, lasting memories through Smell. Trivia cards spread out in the venue, such as this one. 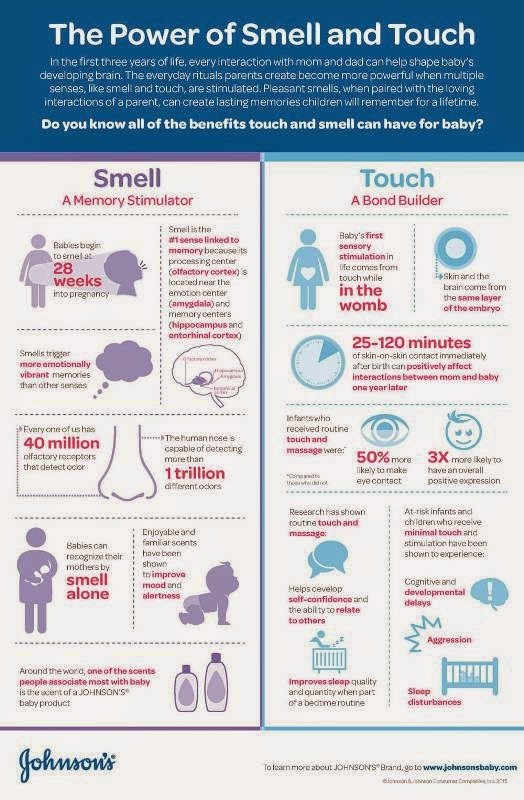 Now that we are more aware about the science behind the smell, touch, multisensory stimulation which our daily rituals (during bath time and bed time) do for our babies' happy and healthy cognitive development, wouldn't it be a lot more fun to engage longer in these activities? It's your turn to spread this message to fellow parents, that Di lang Ligo ang Ligo, it's SO MUCH MORE! 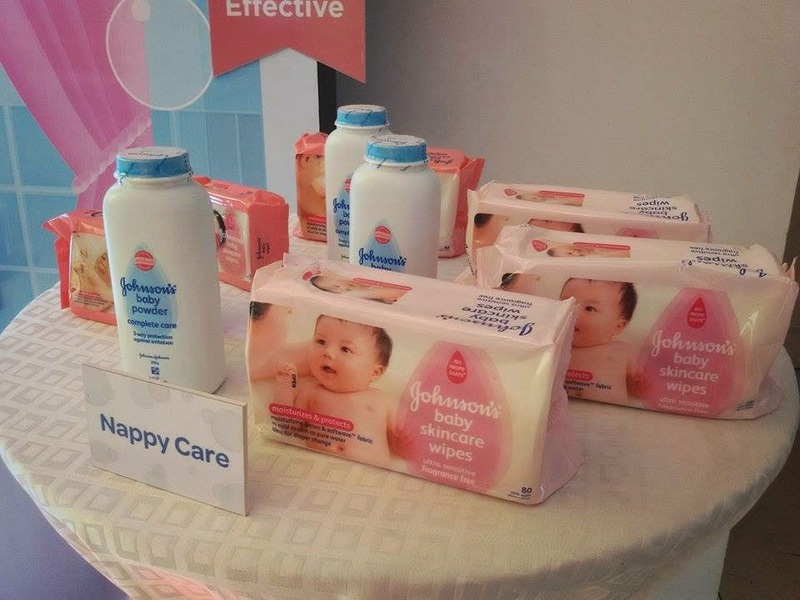 I would recommend you to use the affordable and dependable JOHNSON's Baby Care products which have Clinically Proven Mildness Formula and No More Tears Formula, because they are backed up by extensive researches on our babies' skin to ensure we give only quality care for our bundle of joys! For more information about Johnson's So Much More Campaign, visit their website. i totally agree na johnson makes so much more,it really take care my baby skin!